In Cambodia, the communist movement emerges out of anti-French sentiments popular in the 1940s. In 1950, about 200 Cambodian delegates hold their first congress in Kampot province, resulting in the establishment of the United Issarak Front led by Son Ngoc Minh. Some of the Front's members participate in the Indochinese Communist Party (ICP). 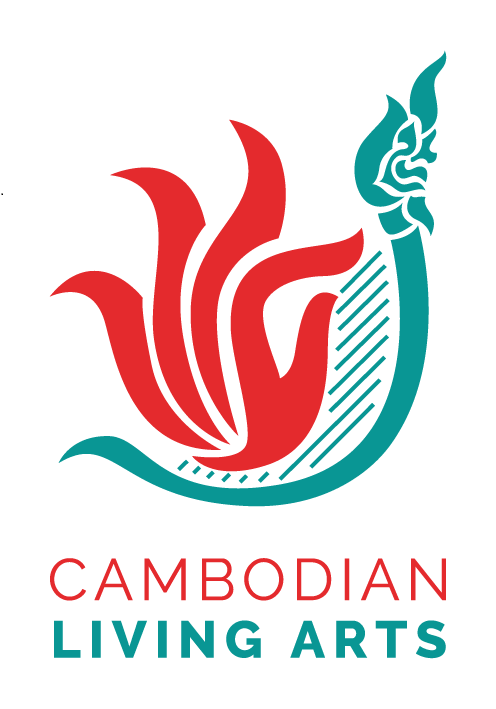 The ICP, established in Ho Chi Minh City, believe that a unified communist movement in Cambodia, Laos, and Vietnam is necessary to overthrow the French colonial presence in Indochina. In late 1951, three communist parties are established in Vietnam, Laos, and Cambodia as a result of the official dissolution of the Indochinese Communist party in 1950. In Cambodia, the new party is named the Khmer People’s Revolution Party (KPRP). In 1953, under the leadership of Prince Norodom Sihanouk, Cambodia declares independence from France. In the region, the First Indochina War between the French and the Viet Minh continues, culminating in the defeat of the French at Dien Bien Phu in 1954. In the same year, the Geneva Conference is held aiming to resolve problems in the Korean peninsula and to restore peace in Indochina. As a result, Viet Minh troops withdraw from Cambodian territory and the United Issarak Front forces are required to disarm. However, Sihanouk’s repression of political opponents drives many KPRP and United Issarak Front members into hiding or exile in Hanoi. Members of the KPRP establish a political party called Krom Procheachun, or People’s Party. Led by Keo Meas under the instruction of Tou Samouth, the People’s Party competes in Cambodia’s first post-independence election in 1955. Samdech Norodom Sihanouk’s Sangkum Reastr Niyum wins all the parliamentary seats. In 1963, Prince Norodom Sihanouk refuses aid from the United States. Pol Pot becomes the secretary of the Khmer People’s Revolutionary Party after the disappearance of Tou Samouth. In 1965, Sihanouk cuts off all its diplomatic relations. After a visit to China, Pol Pot changes the name of the KPRP to the Communist Party of Kampuchea (CPK) in 1966 to reduce the influence of Vietnam and strengthen relations with China. In the late 1960s, the Cambodian Civil War starts. A revolt broke out in Samlot, Battambang. The unrest is believed to have been sparked by dissatisfaction with national policies that require farmers to sell their rice to the state at a low fixed price. In 1968, the CPK starts an armed movement against the government. In 1969, Sihanouk allows Viet Cong troops to transport military supplies along Cambodia’s eastern border, resulting in the spread of the Vietnam War into Cambodian territory. General Lon Nol, backed by the Americans, launches a successful coup d’état to overthrow Prince Norodom Sihanouk while he is on a state visit to the Soviet Union. Sihanouk flees to Beijing, China. With the support of China, North Vietnam, and the CPK, Sihanouk establishes an exile government called the Royal Government of the National Union of Kampuchea (known by its French acronym GRUNK). This government, enjoys strong support from the people and includes many CPK members, as well as Khieu Samphan, who served as Deputy Prime Minister and Minister of National Defense. Khmer Rouge soldiers, with the support of Vietnam, gains control of a number of areas from Lon Nol forces. Due to Viet Cong operations in Cambodia, the Americans drops about 2.7 million tons of bombs on the country between 1965 to 1973, causing the death of approximately 150,000 people, and displacing a further 80,000 people. The Vietnam War ends and the Americans dramatically reduce aid to Lon Nol forces. This enables the Khmer Rouge forces to take power in the remaining areas previously controlled by the Lon Nol government. The Khmer Rouge seizes control of Phnom Penh on 17 April 1975. Believing that the Khmer Rouge victory would bring an end to the war, people in the city gather in the streets to enthusiastically greet the entering Khmer Rouge soldiers. However, only a few hours after the capture of Phnom Penh city, Khmer Rouge soldiers start evacuating the city. About 2 million people are forced to leave the city to undertake agricultural work. The Khmer Rouge soldiers tell city residents that the Americans would soon start bombing the city. Thousands of people die during this forced evacuation. In 1975, Cambodia is officially named Democratic Kampuchea (DK), with Pol Pot serving as its Prime Minister. The first four-year plan is introduced calling for the collectivization of all private property and the prioritization of rice cultivation. The leaders of Democratic Kampuchea plan to exchange rice for foreign currency, which would be used to purchase machinery for the agricultural sector and to build up the industrial sector. Khmer Rouge leaders set an ambitious goal of an average three tons per hectare of rice across the country. In order to achieve this, the Cambodian people are overworked, without receiving proper rest and nutrition. While Democratic Kampuchea maintains relations with many countries in the communist bloc, its closest relationship is arguably with China, who holds significant influence on DK policies. The little rice that Democratic Kampuchea is able to export is sent to China. Between 1977 and 1978, China provides weapons, tanks, and planes. In addition, China sends thousands of experts to work as technicians and advisors to the DK regime. During the same period, relations with Vietnam worsen due to conflicts in the border areas and ideological differences. Both countries are at odds over maritime boundaries, and the Khmer Rouge seek to regain Kampuchea Krom territory, an area in today’s Southern Vietnam that was once part of the Khmer Empire. Fearing Vietnamese influence within Khmer Rouge ranks, senior officials order and accelerate the number of internal purges. The Khmer Rouge increase attacks of Vietnamese villages along the border, which lead to a further deterioration of relations between the two countries. Daily life under the Khmer Rouge regime During the Democratic Kampuchea period, the Khmer Rouge envisaged to transform Cambodia into an agriculture utopia. To make it classless, the Khmer Rouge abandoned the use of money, markets, and private property. Schools, Buddhist temples, and other religious sites were closed down and transformed into sites of torture and detention, warehouses, or livestock shelters. Everyone had to wear black clothing. Those violating the rules were sent for reeducation, and at worst, were punished to death. The Khmer Rouge not only strictly controlled people’s individual daily life, but they also controlled all other social activities including family relations, movement, and written correspondence. The Khmer Rouge believed that Angkar should be regarded as parents. People were ordered to eat collectively, which also served as a means of spying. The desire for complete control of Cambodian society and the paranoia that stemmed from constant spying comprised much of the difficulty characteristic of daily life under the Khmer Rouge. Three major reasons lead to the fall of the Khmer Rouge regime. First, the Cambodian people become physically weak from forced labor and overwork. These extreme labor practices are enforced in order to reach an unrealistic goal of an average three tons per hectare rice yield for the purposes of feeding the population and creating export. This ambition causes hundreds of thousands of people to die from exhaustion and starvation. Second, internal purges stemming from paranoia and distrust weaken the solidarity of the Khmer Rouge. Chiefs of sub-regions, regions, and commanders are arrested and killed, especially in the northeastern part of Cambodia. The Khmer Rouge kill many cadres in 1977, accusing people within their own ranks of having Vietnamese minds and Cambodian bodies. Many people die as a result, while many others escape to Vietnam. Third, relations between Democratic Kampuchea and Vietnam deteriorate due to border conflicts. Beginning in mid-1977, Khmer Rouge soldiers launch attacks against Vietnamese villages without warning. Later that year, the Vietnamese launch counterattacks and manage to gain control of DK territory, 20 kilometers into Svay Rieng province. Diplomatic relations between the two countries are completely cut off following the armed conflict. Vietnam then withdraws its troops from Cambodia, taking some civilians and prisoners with them. In 1978, the Vietnamese begin to provide trainings to those who seek refuge in Vietnam and appeal for Cambodians to stand up against the Khmer Rouge. On 3 December 1978, a Hanoi-based radio station make a broadcast about the establishment of Khmer United Front for National Salvation (KUFNS) led by Heng Samrin. KUFNS soldiers, supported by Vietnamese forces, reach Phnom Penh city on 7 January 1979. After the collapse of the Khmer Rouge, a new regime is created called the People’s Republic of Kampuchea (PRK). However, the PRK fails to secure support from the Unitied Nations, resulting in the loss of aid, due to opposition from both the United States and China. A few years later, Sihanouk’s FUNCINPEC party, the Khmer Rouge, and the Khmer People’s National Liberation Front led by Son Sann form a government in exile called the Coalition Government of Democratic Kampuchea (CGDK). The CGDK, consisting mostly of Khmer Rouge soldiers, holds Cambodia’s seat at the UN. The CGDK continues fighting with the PRK. In 1989, the regime changes its name to the State of Cambodia following an announcement for the final withdrawal of Vietnamese troops. The Paris Peace Agreements are signed on 23 October 1991, putting an end to the civil war that plagued Cambodia following the fall of the Khmer Rouge, and building a foundation for democracy in Cambodia. Under the agreement, the United Nations establishes a transitional government (UNTAC), which would monitor the ceasefire and assist in the preparation for free and fair general election on 23 May 1993. The Khmer Rouge boycott the elections and continue their guerilla war. Three political parties make up the new government, with Prince Norodom Ranariddh serving as its first Prime Minister and Mr. Hun Sen as its second Prime Minister. Norodom Sihanouk is crowned King for the second time and Cambodia’s official is changed to “Kingdom of Cambodia”. In 1994, the National Assembly outlaws the Khmer Rouge. After the 1993 election, Khmer Rouge soldiers continue to fight against the new government for several years. In 1996, the former Minister of Foreign Affairs of Democratic Kampuchea, Ieng Sary , defects to the Cambodian government and receives a Royal Pardon from the King for his conviction in absentia by the People’s Revolutionary Tribunal in 1979. In 1998, following the death of Pol Pot in Anlong Veng, Nuon Chea and Khieu Samphan defect. The Khmer Rouge movement completely collapses after Khmer Rouge soldiers are integrated into the Royal Cambodian Armed Forces. In 1997, the Co-Prime Ministers request the United Nations for assistance to establish a tribunal to prosecute Khmer Rouge leaders. In 2001, the law on the establishment of the ECCC is passed. The ECCC officially starts its operations in 2006 after an agreement between the Cambodian government and the United Nations is signed in 2003. In 2007, Kaing Guek Eav, alias Duch, Nuon Chea, Ieng Thirith, Ieng Sary,and Khieu Samphan are arrested and charged with crimes against humanity and grave breaches of the Geneva Conventions of 1949. In 2010, the ECCC Trial Chamber sentences Duch to 35 years imprisonment, later overturned by the Supreme Court Chamber who sentences him to life imprisonment. Ruled mentally unfit to stand trial, Ieng Thirith is released in 2011 and put under judicial supervision. Ieng Sary dies in 2013. On 7 August 2014, the Trial Chamber announces the verdict for Case 002/01, sentencing Nuon Chea and Khieu Samphan to life imprisonment. Source: Kdei Karuna Organization & Youth for Peace (2014). Where is Justice? Seeking Justice through an Exploration of the Khmer Rouge Past. Phnom Penh. References for this timeline include the following: Becker, E. (1986). When the War was Over. New York: PublicAffairs; Chandler, D. (1992). Brother Number One. A political biography of Pol Pot. Boulder: Westview Press; DC-Cam, (2007). Coping with the Psychological Trauma of the Khmer Rouge. Phnom Penh; Dy, K (2007): A History of Democratic Kampuchea (1975-1979). Phnom Penh: DC-Cam; Jackson, K.D. (1989). Cambodia, 1975- 1978: Rendezvous with death. Princeton: Princeton University Press; Kiernan, B (2008). The Pol Pot regime. Race, power, and genocide in Cambodia under the Khmer Rouge, 1975-79 (3rd ed). New Haven: Yale University Press; Ponchaud, F .(1978). Cambodia Year Zero. New York: Holt, Rinehart and Winston; Vong, S. (2009). History of Cambodia. Phnom Penh.